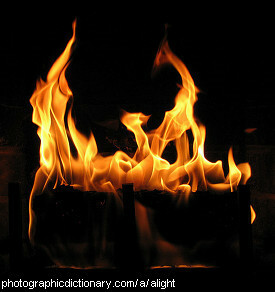 Relating to fire, heat and burning. Alight can have many different meanings. It might mean something that is on fire. It might also mean you are getting off something after it has stopped moving, like a horse or a train. It could also mean you are coming onto something after a flight, as in "see the bird alight on that branch". 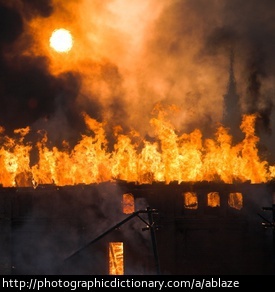 Arson is the act of deliberately setting on fire either someone else's house or other belongings, or your own house or belongings, usually because you want to claim insurance. 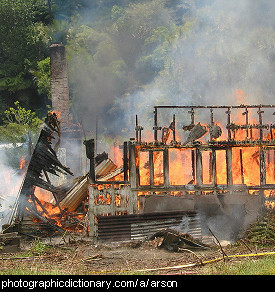 In most countries, arson is a crime. 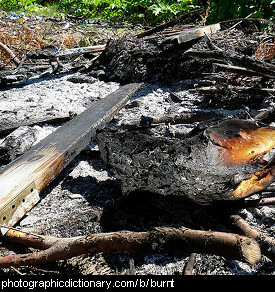 Ashes are the black and grey residue that is left after a fire. 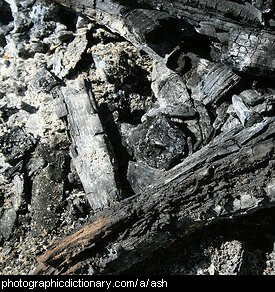 Ash is also thrown out in large quantities from volcanoes. Some ash, called charcoal, can be used to draw with. 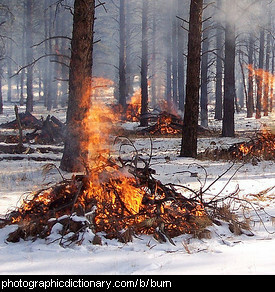 A bonfire is a large fire that has been lit outside. 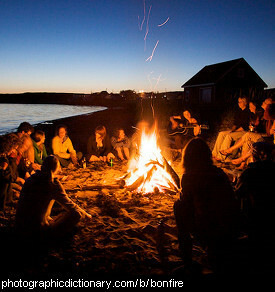 Bonfires are typically lit at a celebration or a party. Something is burnt or burned if it was on fire at some point in the past and is now blackened and charred. Food can become burnt if you cook it for too long. 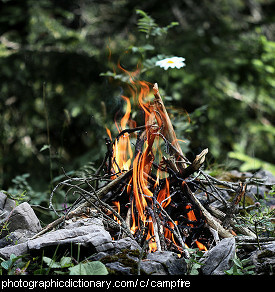 A campfire is a small outdoor fire that you build when you are out on a camping trip. People build campfires to keep warm and to cook on. 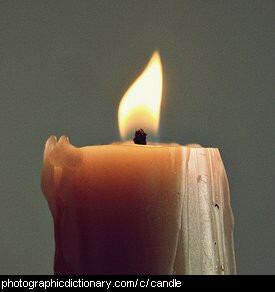 Candles used to be the main source of light for people long ago before light bulbs and electricity were invented. Candles are made out of a piece of string, or wick, which is surrounded by wax. When the candle is first lit you set the wick on fire but once the wick is burning it melts the wax, so after that first few moments the candle burns the wax not the wick. 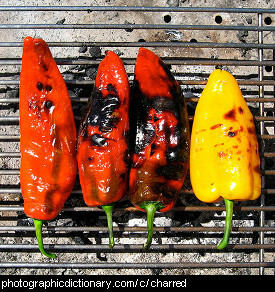 You char something by burning it slightly, so it becomes charred.